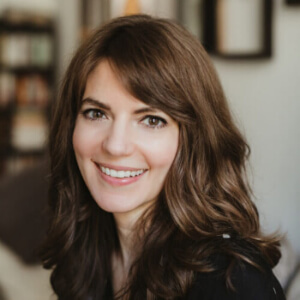 Food Psych Programs (run by Christy Harrison) provides intuitive eating courses and podcasts to 900+ paid members. Below is their MemberSpace case study which contains website screenshots of their membership setup along with a short founder interview. Food Psych Programs's home page does a great job of grabbing the visitor's attention with lively images and a clear headline stating exactly what they do and how they'll help you. Their top navigation also makes it simple for visitors to jump to any page/content they want or log into their member account. Food Psych Programs's sales page for their course reads as if they are speaking right to the viewer and genuinely tries to connect with them in a way that resonates. They have multiple calls-to-action on the page to encourage sign ups with one time and multiple payment options available to fit people's cash flow. 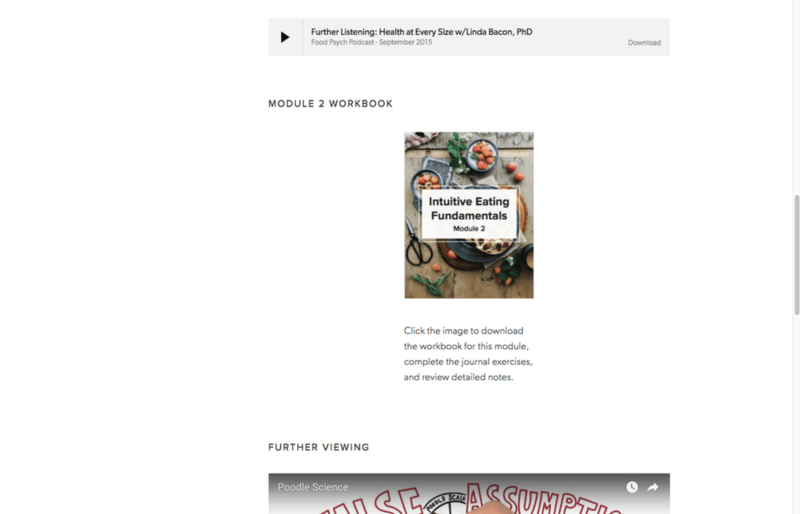 After someone pays to become a member of Food Psych Programs's Intuitive Eating Fundamentals course, they are shown a cleanly laid out welcome page. There is simple navigation on the left side so members can move between her different modules seamlessly and know what page they are on at any time. Here is a section on one of Food Psych Programs's course module pages they designed which has three different types of content for members to interact with (audio MP3, PDF, and an embedded video). This content is all protected via MemberSpace so only logged in members can access it. I'm a journalist turned registered dietitian, and I originally started my website as a place to house all my journalistic work and information about how to work with me 1:1 for nutrition therapy. But as my business grew, I quickly realized I needed to start offering online programs to help people around the world who I knew I'd never be able to reach 1:1. The problems I aim to solve in my work are helping people make peace with food and accept their bodies so that they can move on to doing bigger and better things in the world. I've seen too many brilliant people (primarily women, but definitely plenty of people of other genders as well) fall into the trap of dieting and “lifestyle changes” that get them so fixated on food, nutrition, and exercise that they lose their innate connection to their bodies, and lose themselves in the process. That happened to me 10-15 years ago, so I know what it's like—and my personal experience is definitely part of what motivated me to go into this line of work. My mission is to help people reconnect with the natural hunger, fullness, and satisfaction cues that we're all born with, so that they can trust themselves around food and stop having to think about it so much. At this point my business is primarily built around my online courses and memberships, but I still offer a 1:1 coaching program for a small number of clients, and do some freelance writing—and I just got a book deal, which I'll be able to give more details about very soon! I also have advertisers on my podcast, Food Psych, which is another small revenue stream. My courses include my flagship program, Intuitive Eating Fundamentals, which is 13 modules of content plus an ongoing monthly Q&A podcast where I answer members' questions. I also have a 5-day mini course called A Taste of Intuitive Eating, which gives an introduction to my approach and teaches some of the basic building blocks, and at the end of the course members can opt to continue on to Intuitive Eating Fundamentals at a discount (the discount page is protected by MemberSpace too, ensuring that only mini-course members get access!). In addition to teaching intuitive eating to the general public, I also do trainings and courses for fellow health and wellness professionals. I have a course called Master Your Anti-Diet Message that I did first as a pre-recorded video seminar and worksheets with lifetime access, but I decided to start running it periodically as a live webinar, with the worksheets and webinar replay housed in MemberSpace. I'm planning to add another live training for professionals about intuitive eating in Q3 or Q4 of this year. Finally, I have a premium membership for listeners of my podcast. The Food Psych Premium pages give people access to the first season of the podcast, which is no longer available anywhere else, and an 18-episode Q&A series that I created just for Premium members. I've been doing my podcast since 2013, and it's gained a pretty huge audience in that time, so that's usually the first way people find me. It's a great introduction to my philosophy and style, and it provides a lot of value that people can take even further in my paid programs, so I get a lot of my members just from mentioning my courses on the podcast. I also have a good-sized email list and invite people to join with free opt-in gifts, and in my emails I mention my courses and programs and get a significant portion of my members that way. Finally I use social media to share info about the podcast, my philosophy, and my courses, and I have a pretty big Instagram following, which is another way that people come into my programs. So those are the ways I find people, and honestly it doesn't feel like I have to do a lot of convincing! 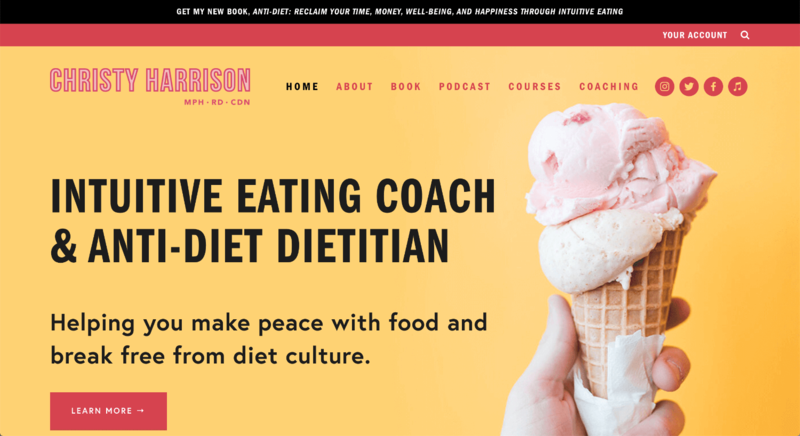 I really believe in what I'm offering—an alternative to diet culture—and I think that comes through in my speaking, writing, and sales pages. Obviously people have to be ready for my work because it is a big paradigm shift, and I'm not really interested in convincing anyone who isn't ready, because my programs probably won't be a good fit for them. Instead I'm talking to the people who've been on the diet roller-coaster and are frustrated and want a better way, and who are open to letting go of the diet mentality for good. On a philosophical level, I think my customers stay members because they get a lot of value out of my courses and programs—because in addition to getting the exclusive content housed in my MemberSpace pages, I also offer private Facebook groups for members of my higher-investment programs, so they get a lot of ongoing support. On a practical level, I think people stay members because I have all my memberships set up as one-time payments or payment plans instead of as recurring memberships that they could cancel anytime. I do this because the process of learning intuitive eating has a lot of ups and downs—giving up dieting is a lot harder than it might sound!—and if people were able to just walk away when it gets tough then they wouldn't hang in there long enough to see the benefits on the other side (which they inevitably do when they stick with it). So my flagship course, Intuitive Eating Fundamentals, is a lifetime membership that allows members to keep coming back to the material until they've mastered it.